As a continuation of the DOUBLE ANNIVERSARY OPEN HOUSE JANUARY, here’s a new essay for you on Lada Ray Patreon! READ BELOW — or Visit the Complete Original: NEW AUTHOR SITE & LADARAY.COM STORY! (OpenCreativeKitchen Essay 3)! MY RENEWED & REDESIGNED OFFICIAL BOOK AUTHOR SITE IS NOW ON! You probably know that my current official site and main portal for all my work is LadaRay.com. It has its own section dedicated to BOOKS where I’ll be posting my book updates! But as I began preparing my new non-fiction books, to be released in 2019 and in the years after, the need arose in a dedicated book author site. In 2010 I initially envisioned LadaRay.com to be the domain reserved for my official fiction author site. At the time I was working on my novels Stepford USA and Gold Train, and shorts Catharsis and Green Desert, and later, on The Earth Shifter. Ever since I wrote my first fiction books, my work, worldview and spiritual consciousness have evolved into another galaxy. A whole new world opened up and the manifestations of all my work can be gleaned through my many projects! First in 2013-14, came FuturisTrendcast as well as the expanded LadaRay YouTube. I was very busy writing articles for FuturisTrendcast, with the sole purpose of dispelling lies, preventing a new manipulation of history and enlightening humanity as to the truth. I was also doing occasional podcasts on YT. Being pre-occupied with the new attack against truth and a new dark attempt to distort history and reality, I didn’t pay attention to my domain, and I let it expire. But shortly after I knew that I again needed the main portal to consolidate my fast-growing body of work, where I could house my new theories, plus my Earth Shift Reports, Consultations and later, Webinars. However, I discovered that someone hijacked my LadaRay.com domain while I was looking the other way, and that someone was now demanding $30,000 for me to buy back my own site! At the time I decided it wasn’t worth it. Later, I was able to buy it back during an auction. And now you can enjoy the many things my official site, LadaRay.com, has to offer! It houses my Earth Shift Webinars and Reports, Private Consultations, plus loads of free predictions and Earth Shift, Multidimensional & Quantum Calibration primers. For a time, my old author site was all but forgotten. Now that I am back to writing and publishing books, I’ve given it a new life, and it will now be dedicated specifically to all my books, both past and future! The site will continue being worked on and expanded, but the main work is done. The new site also has my comprehensive BLOGS & SM Directory! Some of these have extensive subdirectories – check’em out! I’ll be expanding the Reviews, Bookstore, Trailers and Excerpts pages. Come back soon for more! Preparing some treats and surprises in 2019! **NOTE! LadaRay.com remains the OFFICIAL main site & portal for ALL my work! **Creative Kitchen is an Exclusive Patreon Feature, where patrons can peek into my creative secrets & find out first what I’m working on! Please click on link to read the full announcement post and find outwhat else is in store. Special offers and FREE articles/podcasts areopen to my FuturisTrendcast, YouTube and Patreon subscribers! COMPLETE DETAILS OF OUR DOUBLE ANNIVERSARY OPEN HOUSE & GIFT FAIR! DON’T MISS! Special Offer Extended till November 28! Remember, there are three different offers inside! CHECK’EM OUT, THEY MAY APPLY TO YOU! Special Triple Offer! JOIN LADA RAY PATREON AT $5 & GET THREE NEW LADA RAY PREDICTION ARTICLES FREE + 2 more offers! Comments Off on Special Offer Extended till November 28! #ThankYouPatrons – EARTH SHIFT PODCAST MARATHON COMING YOUR WAY! Free versions of the three Podcasts will be posted on Nov 19-21 on YouTube, SoundCloud and Stitcher, plus later on iTunes (after my account is approved by Apple). The 3 EARTH SHIFT PODCASTS MARATHON has already begun and is presently running on Lada Ray Patreon, for my Patrons (early access on Patreon 11/17-19, with additional written version). Check out my new EARTH SHIFT PODCAST banners! FREE PODCASTS WILL BE POSTED ON ALL MY SITES ON 11/19-21! USE LINKS ABOVE TO SUBSCRIBE SO NOT TO MISS! STAY TUNED ON SUNDAY, 11/18, FOR MY SPECIAL OFFER! In response to my latest FuturisTrendcast posts I received some interesting comments from followers, which I want to share with you, along with my thoughts. Just became one of your Patreon subscribers. I do appreciate your work although I’m still behind in reading older ESR’s, re-reading The Earth Shifter. Webinars are up to date except for Putin Enigma and I will have that one finished before the March elections. It’s taken me a while to realize your work isn’t really linear. I see now that reading some of the 2014 ESR’s from today’s vantage point might add a new dimension and speed up the reading as I won’t need to click on some of the sub links. Thank you for subscribing. Yes, my work is NOT linear, it’s Multidimensional, that’s what I’ve been trying to tell everyone. Perhaps many people are still unable to process that. Although, this is what humanity sorely needs to finally get out of the vicious box of karma and recurring conflict. Thank you Lada. Your voice is so clear. In America I am watching friends finally beginning the journey that most of your readers passed thru years ago. I value and appreciate everything you do. You are writing the first drafts or the true oral history of life on Earth and right now they are passing by word of mouth. It’s very simple. Humanity had for centuries, millennia really, holed itself up in a narrow and tight box of perpetuating karma and self-fulfilling prophecy. This came with the type of mentality that I describe as 1D, 2D and lower 3D mentality. “D” signifies “dimension.” Therefore, we are talking a lower-dimensional mentality and consciousness, presently dominating humanity. I have described how it works in previous ESW 1-6. 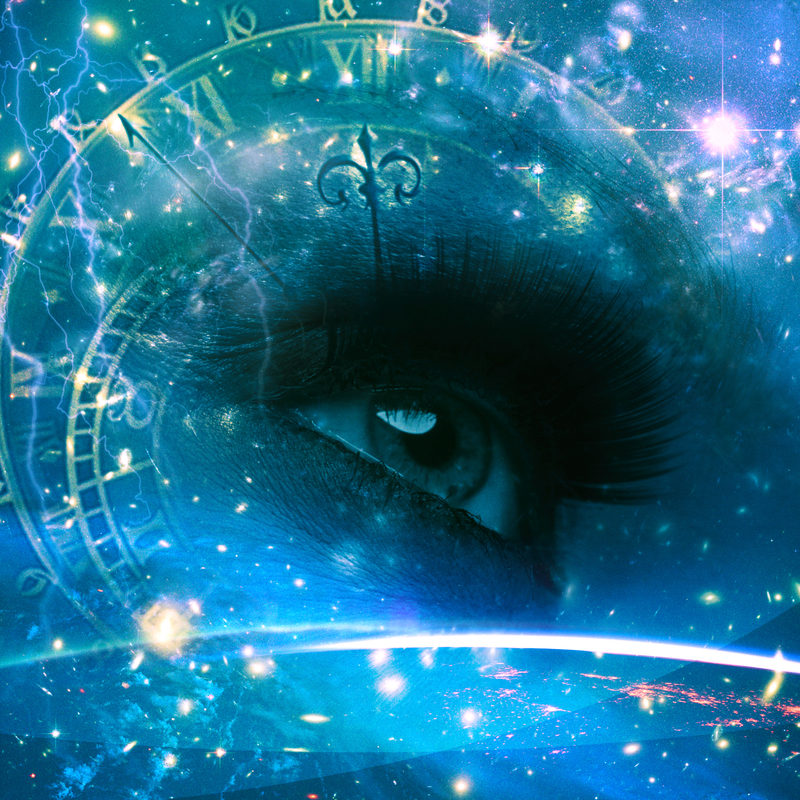 Soon, we’ll have dedicated webinars, talking about forbidden history, the plunge in consciousness, why humanity needs to stay physically anchored in the 3D reality while having consciousness on the 4D, and even better, on the 5D levels. All this is to come in 2018 and 2019. I have told you in my previous Earth Shift Webinars (The Multidimensional Geopolitics Series ESW 1-6) that humanity’s consciousness is transitioning into lower 4D, which is great news on many fronts. I also discussed the signs of the 4D transitioning in my new Patreon article: What do I mean when I say we are transitioning into 4D? How does 4D work? I also told you in my Earth Shift Webinars that the real solution is for human consciousness to make a monumental SHIFT into Fifth Dimension, or 5D. When I write my books and blogs, do my webinars or videos, I also incorporate higher dimensions. My theories, which many of you have already gleaned, have been conceived in those dimensions and brought here on Earth from celestial realms. I hope we can discuss all that going forward, in future webinars and books. However, the reality of things on the planet is such that simultaneously we have consciousness that is 2D, 3D, 4D and partially 5D, and even some 1D consciousness is present. Therefore, to truly understand the world we live in and to develop correct and forward-looking solutions it is important to include all that in our analysis and worldview. I have been trying to reach out to people with my ideas and Multidimensional and Earth Shift Theories. I’ll continue talking and teaching, pushing the boundaries and co-creating 5D Earth Shift. I am inviting you to join me through Patreon, FuturisTrendcast, Webinars and future BOOKS! To faster get new revolutionary articles and important features, which you can get exclusively from Lada Ray, support me on PATREON! ** Read latest articles from 1/21-22/18, always FREE to ALL on FuturisTrendcast! Why Poroshenko is still in power in Kiev? When will a new figure show up in Ukraine? Merry Christmas to FuturisTrendcast Readers from Lada Ray! to all our readers, followers & friends! Russian Rozhdestvo (Orthodox Christmas) takes place one week after Western New Year. More pics then! To illustrate this, I want to give you a bit of statistics from my blog. The following day, after I published Post Scriptum: Strange Coincidences? Moscow Metro Tragedy and Malaysian Airliner MH17 Downing, visits and search engine stats are similar, but some top referrers stats go somewhat down, while clicks from washingtonpost.com jump to 163 (delayed reaction I guess). 2. I have received several new awesome reviews for several of my books, including The Earth Shifter, Gold Train and Catharsis (Legend of the Lemurians). Thank you, dear readers! I really appreciate it. However, my Special Report will go substantially deeper and will uncover mysteries of a completely different nature.